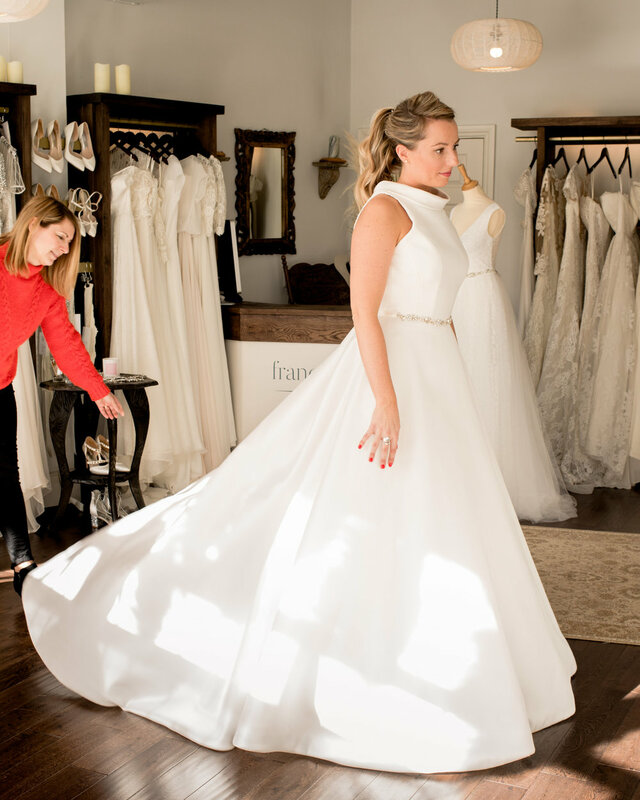 The Dress Shopping Dream — Frances Day Bridal. 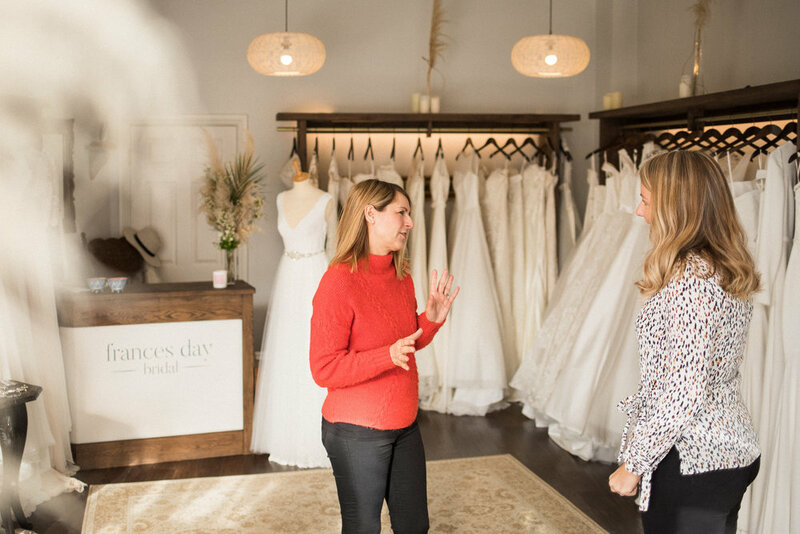 Whether wedding dress shopping is something you have always dreamt about or not, it is more than likely to be the single most expensive clothing purchase you will ever make. I often think that being a bride is like being promoted to CEO of a huge organisation. You are the boss. You are in charge. You call all the shots. Now on paper this sounds incredible – but the reality of this can often be rather daunting and this is why you need the best team of industry insiders up your sleeve ready to impart all of their wisdom. 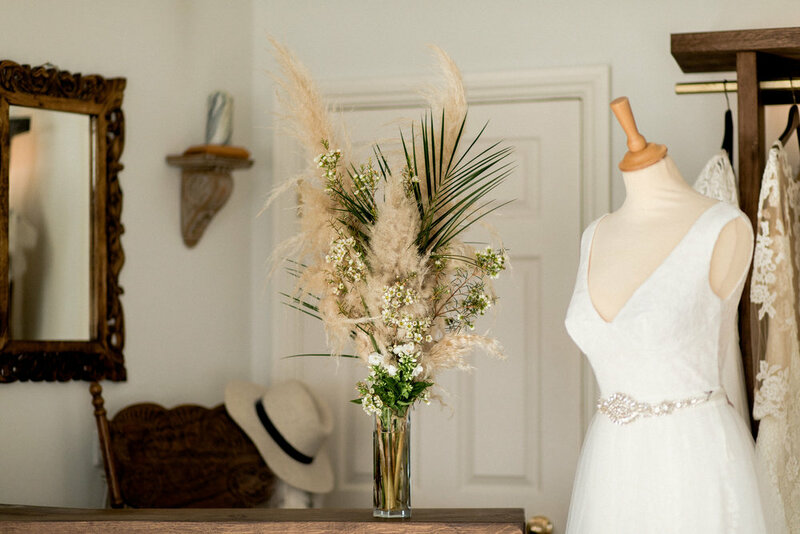 Most bridal boutiques operate by appointment only so in the first instance, it is always wise to get in touch and book your slot. Appointments generally last for an hour and a half, unless you are shopping in London where it is common to only get an hour. During your time in the boutique, you will be guided through the designer collections on offer and be asked to select around 5 gowns to try on to start with. When our bridal consultant sees you in a gown and understands your body proportions, they will select some 'wild-cards' for you. It is always really beneficial to keep an open mind during this process. Not every dress is blessed with hanger appeal but with a body in it, it can really make the couture detailing come alive. ‘The Feeling’ – Hollywood has made us all believe that you don't know it is the one until every member of the bride tribe has had an emotional breakdown and you have seen the bottom of the 3rd box of tissues. This is a myth and rarely/never happens! The best way I can describe the feeling is that you just don͛t want to take it off. You often also start subconsciously spinning from side to side in it – this is the loveliest moment to witness. It is common practice that your bridal boutique will need a payment of 50% as a deposit with the remaining 50% being due when your dress arrives. In the case of Frances Day Bridal this is around 3 months prior to your wedding date. 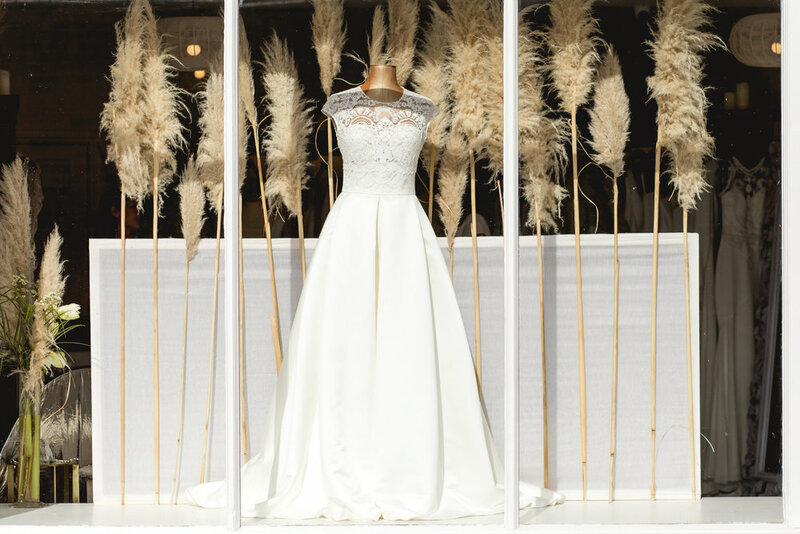 You will be invited back to the boutique around 2 months prior to your wedding to begin your alterations. The majority of brides need around 3 fittings. Then finally, the week prior to your wedding we ask you to come and try your dress on for one final check. At this point your dress and veil will have been pressed and packaged ready for you to take home and get married! And one final myth to bust is that you have to have bought your dress 9 months to a year prior to your wedding… Rubbish! Well it is at Frances Day Bridal anyway as we are lucky to work with leading bridal designers. We have provided & fitted brand new made to measure gowns in as little as 6 weeks in the past. Although if everyone did this I would be left with a heart condition… but my point is where there is a will, there is a way!